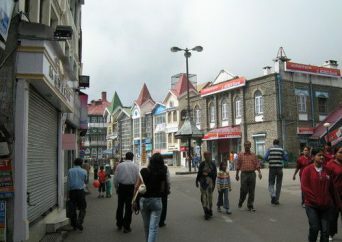 Shimla has a number of tourist spots other than tourist sports near Shimla. 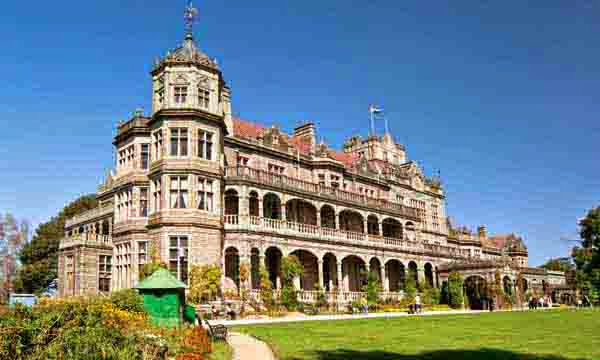 Here we present the tourist spots in Shimla starting from Sunrise Villa Shimla. You can visit these places in this sequence having optimum us of time. This temple is located on the hilltop situated next to Sunrise Villa. It is 4.5 kilometers from Sunrise Villa if going by car. You can also trek to this temple. The trekking route is 2 kilometers only and takes about an hour to reach the hill top. There are three temples on the hilltop other tan the Tara Devi temple. 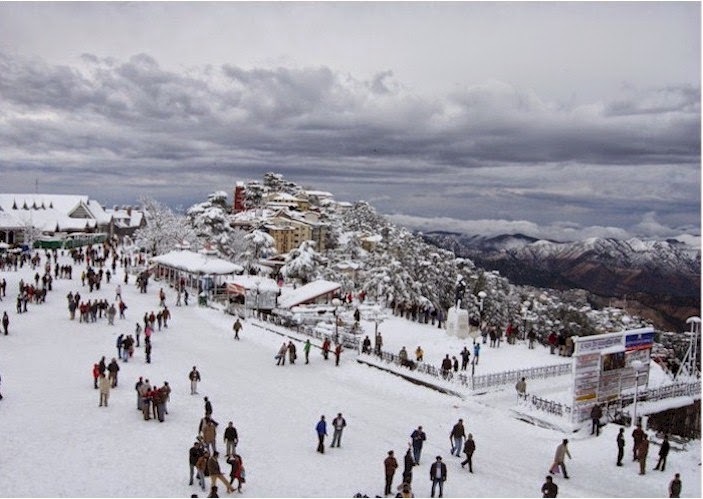 You can have the glimpse of the entire Shimla city from this temple on one side and kasauli on the other side. This temple is 6 kilometers from Sunrise Villa on the way to Shimla on the right side of the highway. Dedicated to Lord Hanuman this is an ideal place to relax and mediate. 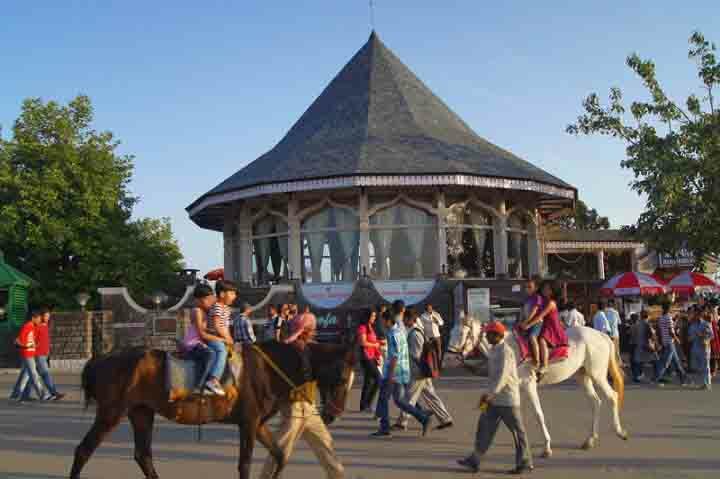 Open spaces, a small children park and thickly wooded Deodar forest also attract a lot of tourists to this place. This small cave is situated across the road near the Sankat Mochan temple. 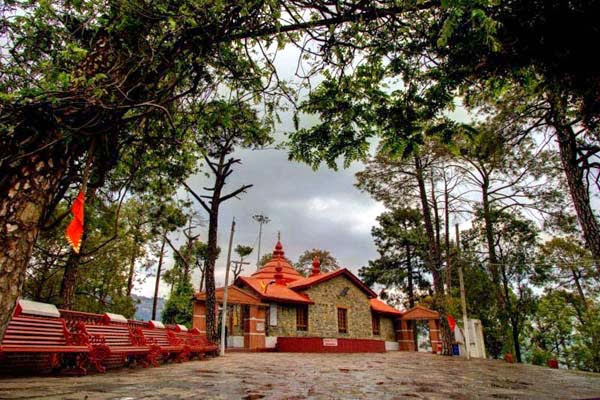 Tourists also visit this place when they come to Sankat Mochan Temple. Around three kilometers from the Sankat Mochan temple the road to the left of the highway passing through the Himachal Pradesh University leads you to the IIAS located on the observatory hill. 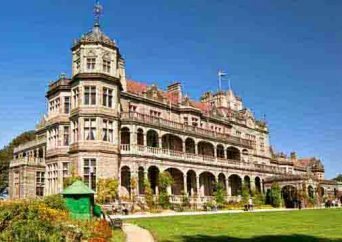 This is the most historic place in Shimla with heritage viceregal lodge building. A number of Viceroys and Governors-General occupied Viceregal Lodge, some of them were Marquess of Dufferin, 1884-88, Marquess of Landsdowne, 1888-94 Earl of Elgin 1894-99 Marquess Curzon 1899-1904 and 1904-05, Earl of Minto 1905-10, Lord Hardinge of Penshurst 1910-16, Viscount Chelmsford 1916-2, Lord Irwin, Earl of Halifax, 1926-31, Earl Mountbatten, April to August 1947. The summer capital of British India was of little use to the President of India who visited it only for a few days in the year, if at all. Professor S. Radhakrishnan thought of putting it to academic use. 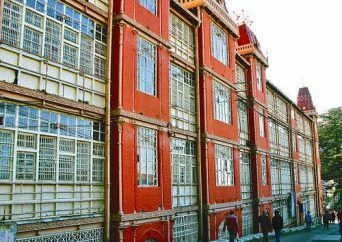 The Rashtrapati Nivas Estate was transferred to the Ministry of Education to be handed over to the Indian Institute of Advanced Study. This place is also closed for tourists on Monday and takes about one hour to explore this place. Managed by the Indian Army and located in the Annandale ground, it has many artifacts related to Indian Army. This museum is open all days of the week except Mondays. 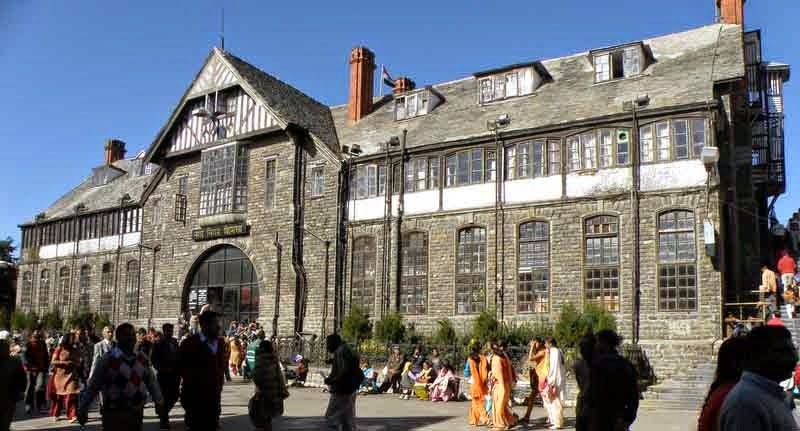 Well managed by the army and location add to the beauty of this place making it a must see place in Shimla. This place also has few attractions for the kids as well like rides and a real helicopter. The State Museum lies atop mount pleasant in a house called ‘Inverarm’. 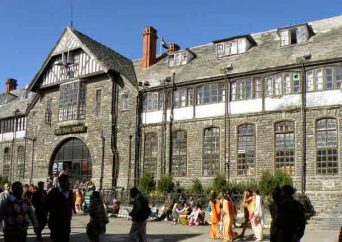 It has a rich display of the state’s cultural, artistic and archaeological heritage, ancient historical sculptors and paintings of Himachal Pradesh. Visiting hours 10 AM to 5 PM. Closed on Monday and gazetted holidays. 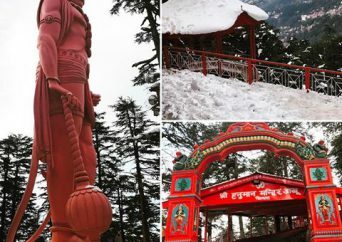 Dedicated to Lord Hanuman this temple is located on the highest peak of Shimla. 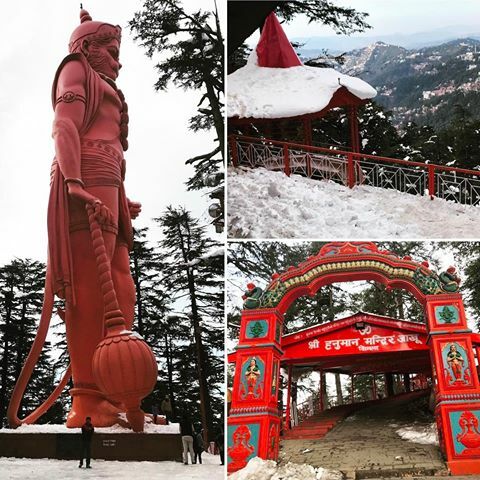 The grand 108 feet statue of lord Hanuman adds to the attraction of this place. Be aware of the hordes of monkeys present here who may pounce on your eatables, handbags and cameras. 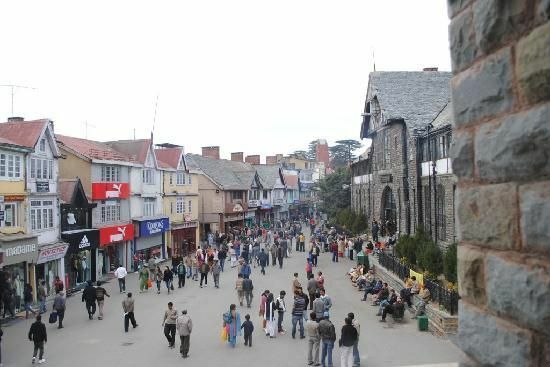 Mall Road is the main tourist attraction of Shimla and stretches from east end of Shimla to the west end stretching a few kilometers. 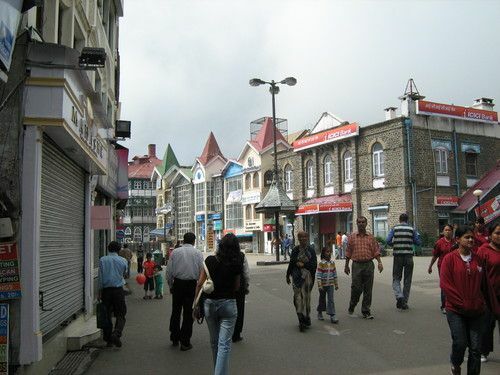 Constructed during British colonial rule, the Mall road is located a level below the ridge. 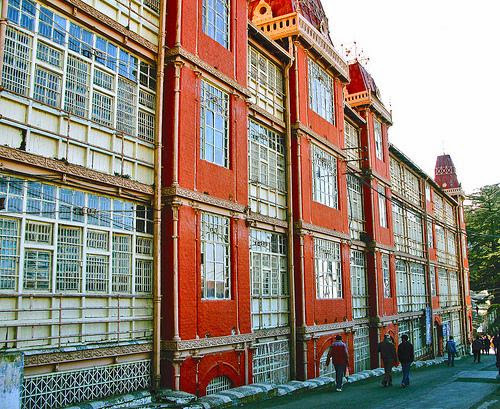 The offices of municipal corporation located in the heritage town hall building and fire service occupy prominent space on the mall road. Restaurants, eating joints and a huge number of shops line the MAll road on one side. Vehicles, except emergency vehicles are not allowed on this road. Locals along with tourists are found strolling on this road throughout the day. The temple was built in 1845. It is dedicated to the goddess Kali. This temple complex also houses an auditorium and guest houses for tourists. This place is more famous among the tourists coming from West Bengal.